“Beautiful yet functional” is how internationally acclaimed wine critic James Suckling describes the 100 POINTS collection. 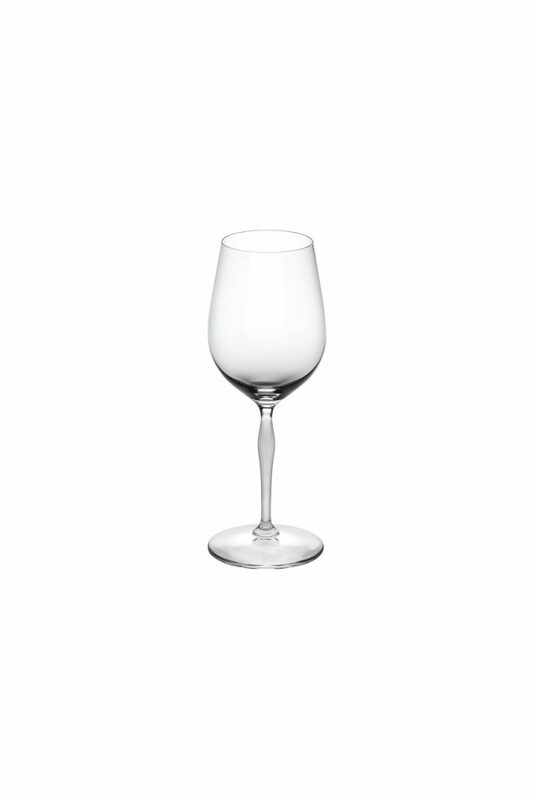 With a name referring to the wine scoring system, 100 POINTS is a hand-made collection that embraces a modern design and precise utility while exemplifying the established style of Lalique. 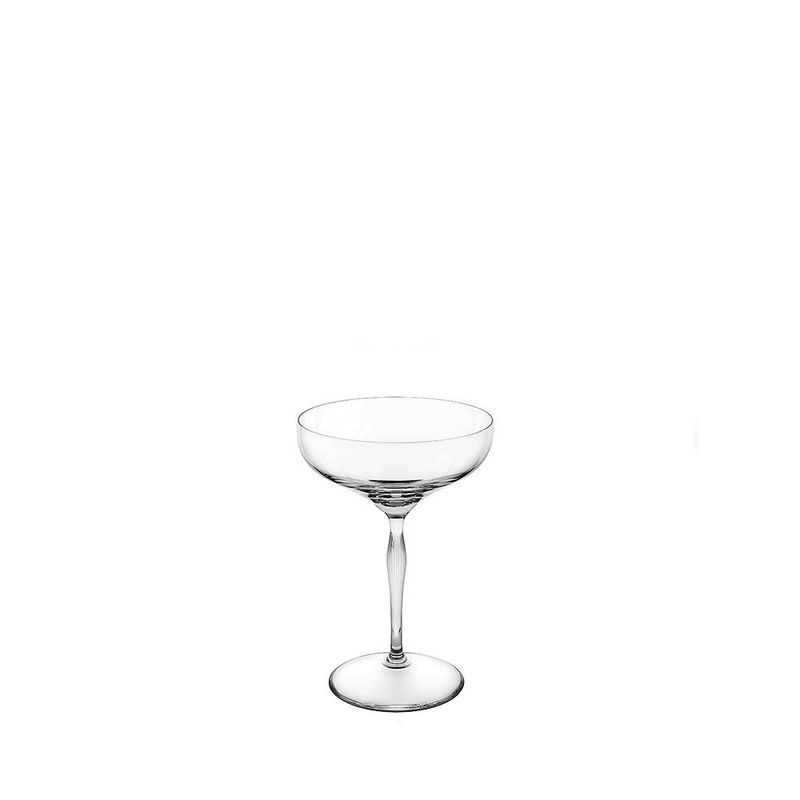 The 100 POINTS Champagne coupe celebrates the iconic style of the roaring twenties. “Beautiful yet functional” is how internationally acclaimed wine critic James Suckling describes the 100 POINTS collection. With a name referring to the wine scoring system, 100 POINTS is a hand-made collection that embraces a modern design and precise utility while exemplifying the established style of Lalique. 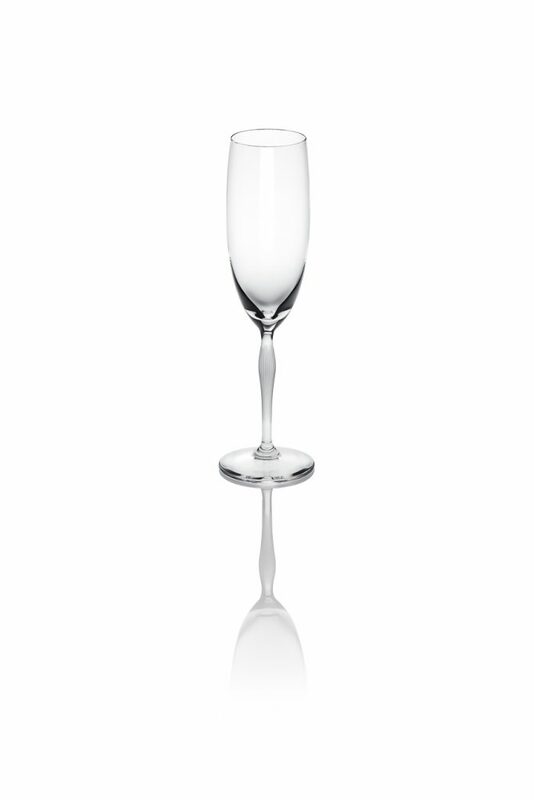 The 100 POINTS Champagne flute is a perfectly balanced presentation of the classic style. “Beautiful yet functional” is how internationally acclaimed wine critic James Suckling describes the 100 POINTS collection. With a name referring to the wine scoring system, 100 POINTS is a hand-made collection that embraces a modern design and precise utility while exemplifying the established style of Lalique. 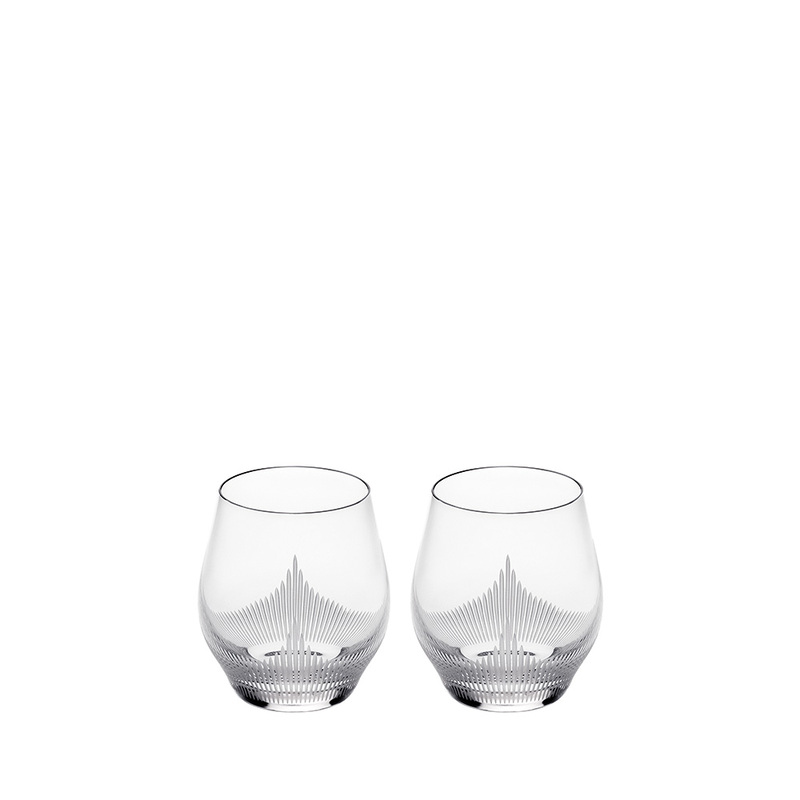 The 100 POINTS tumblers are perfect for whisky and long drinks. “Beautiful yet functional” is how internationally acclaimed wine critic James Suckling describes the 100 POINTS collection. 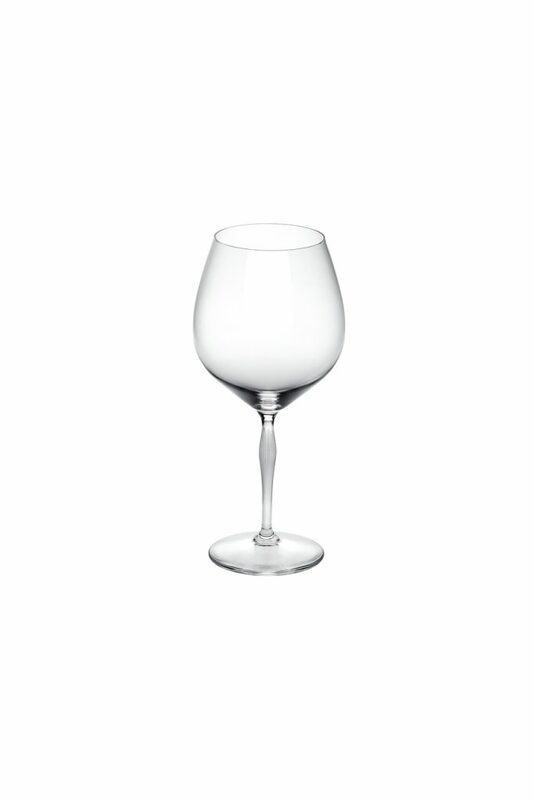 With a name referring to the wine scoring system, 100 POINTS is a hand-made collection that embraces a modern design and precise utility while exemplifying the established style of Lalique. 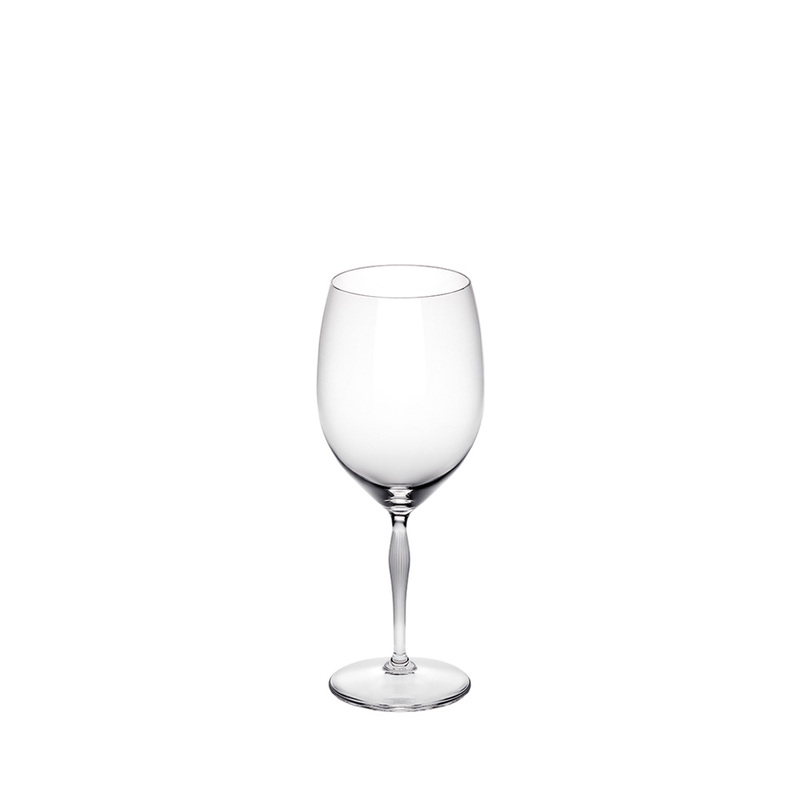 The 100 POINTS universal glass enhances all types of wines. “Beautiful yet functional” is how internationally acclaimed wine critic James Suckling describes the 100 POINTS collection. With the increasing variety of wines worldwide, 100 POINTS by James Suckling was created with today’s trends and styles in mind. 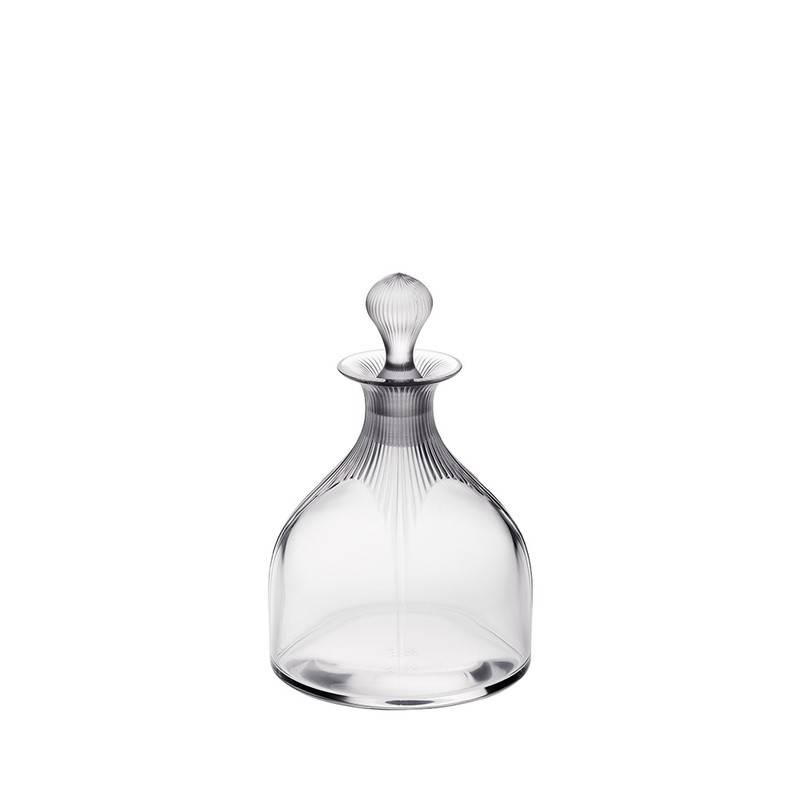 These uniquely-designed carafe is aimed at enhancing the drinking experience for every palate. “Beautiful yet functional” is how internationally acclaimed wine critic James Suckling describes the 100 POINTS collection. With the increasing variety of wines worldwide, 100 POINTS by James Suckling was created with today’s trends and styles in mind. 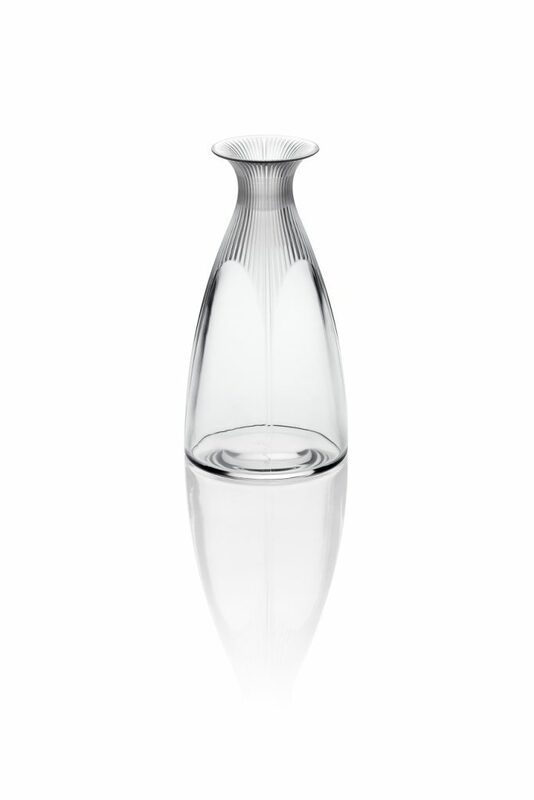 This uniquely-designed decanter is aimed at enhancing the drinking experience for every palate. 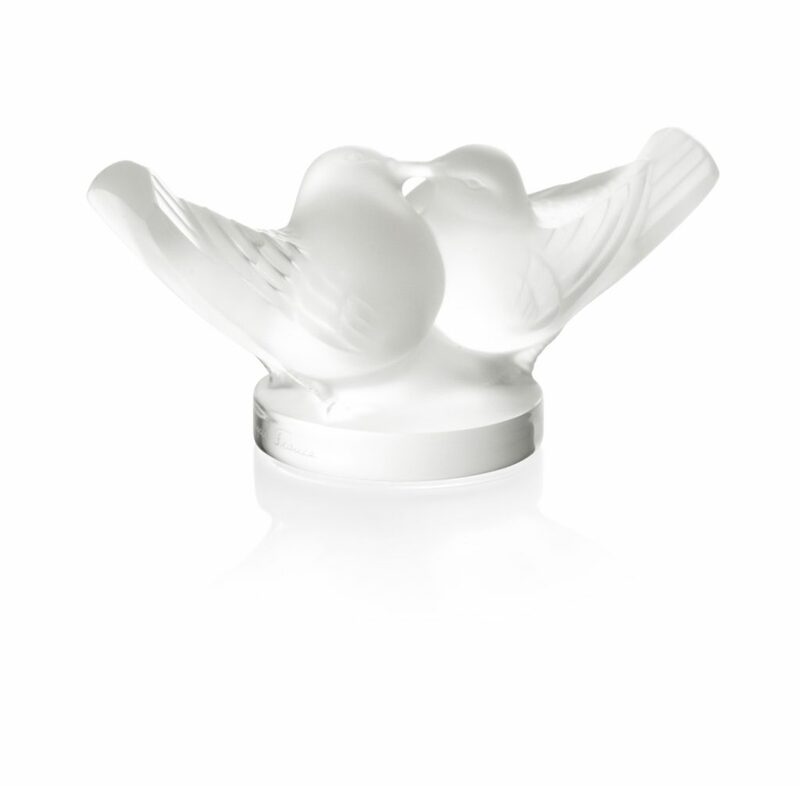 Origially designed by Rene Lalique in 1935, the 2 Fleurs Perfume Bottle is a classic and beautiful creation. Perfect to adorn the most exquisite of budoirs. 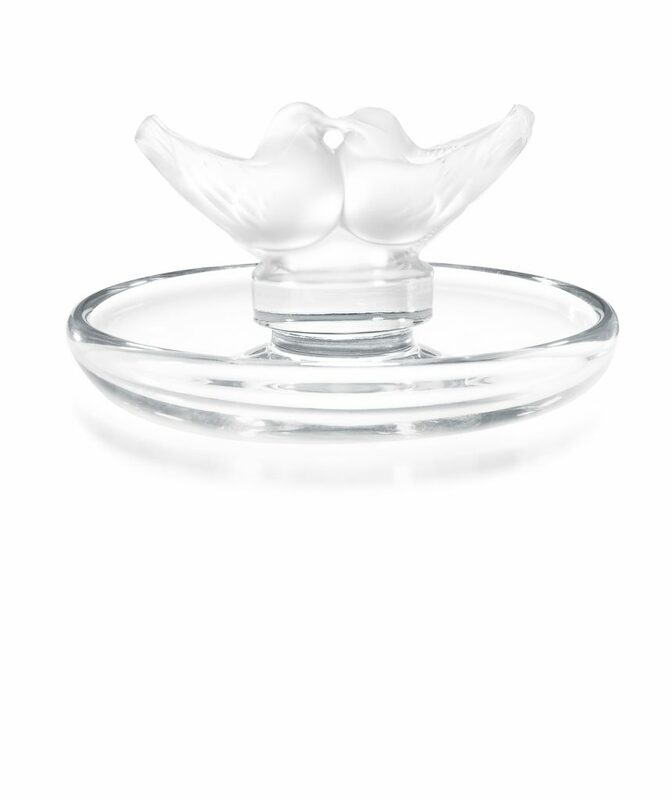 Two lovebirds, symbol of enduring love and adoration, adorn the top of the ringtray. This striking design makes the perect wedding gift. The beautifully crafted 2 Lovebirds sculpture is the perfect symbol of enduring love and adoration. Ideally suited for a wedding gift or as a cake topper. 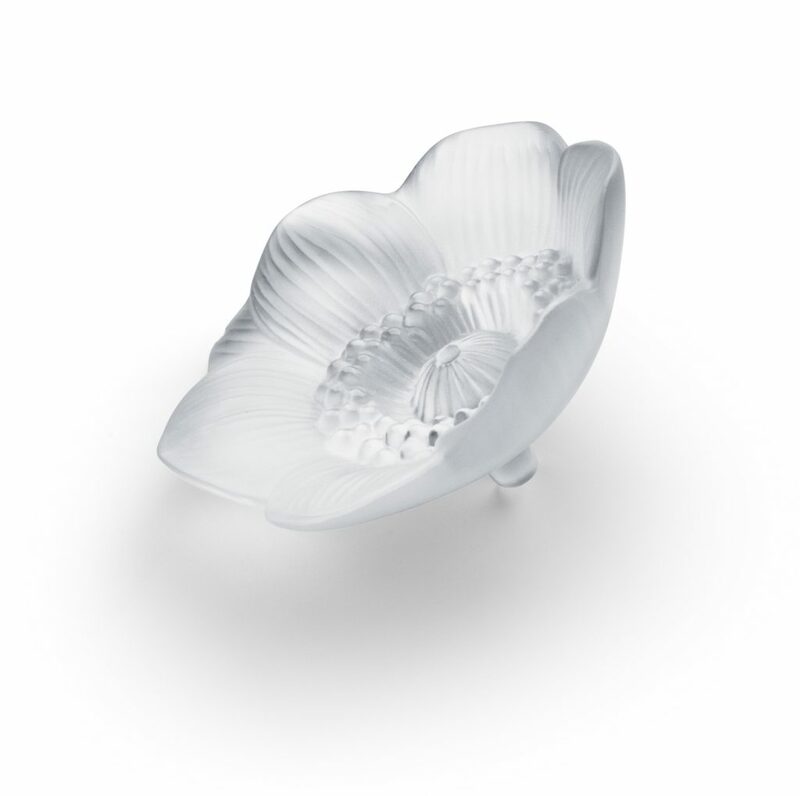 A delicate flower and the symbol of purity and innocence, the anemone inspired Rene Lalique for this design in 1931, originally created in glass. A vision of rich black crystal, both romantic and contemporary, shows nature and modernity in harmony when fashioned by the hands of artists. 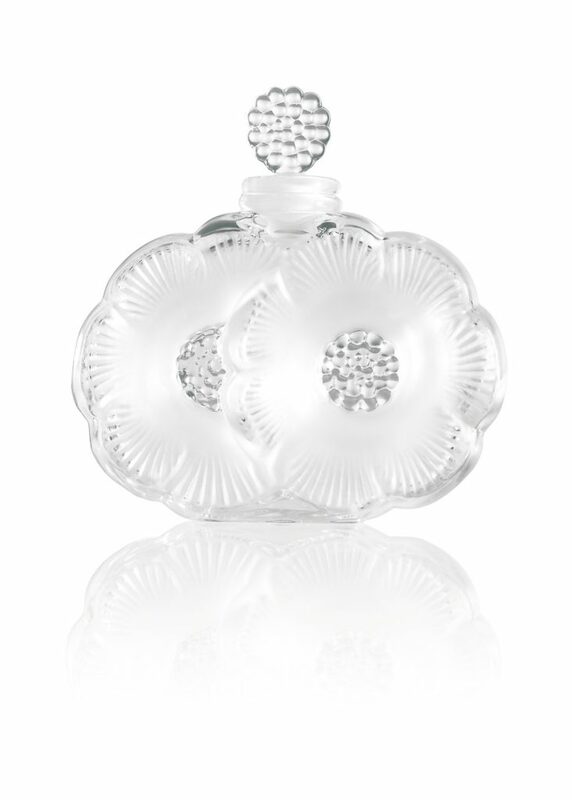 A delicate flower and the symbol of purity and innocence, the anemone inspired Rene Lalique for this design in 1931, originally created in glass. 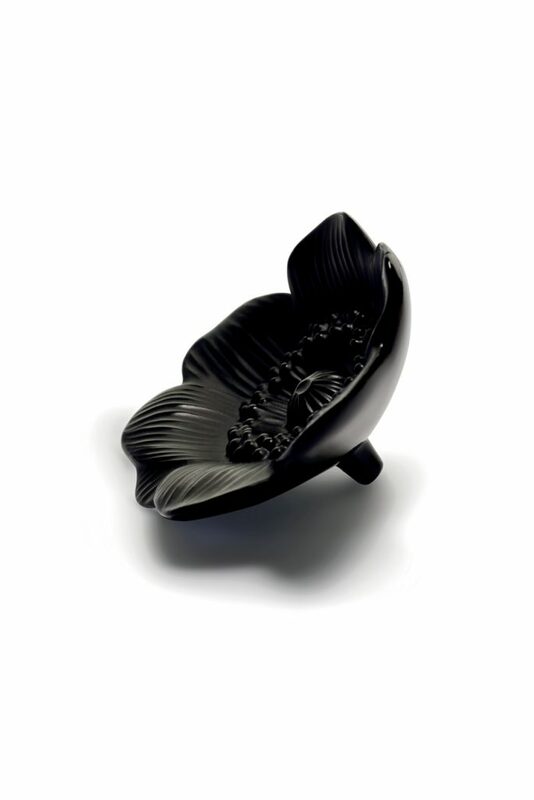 A petite version in rich black crystal, both romantic and contemporary, shows nature and modernity in harmony when fashioned by the hands of artists. 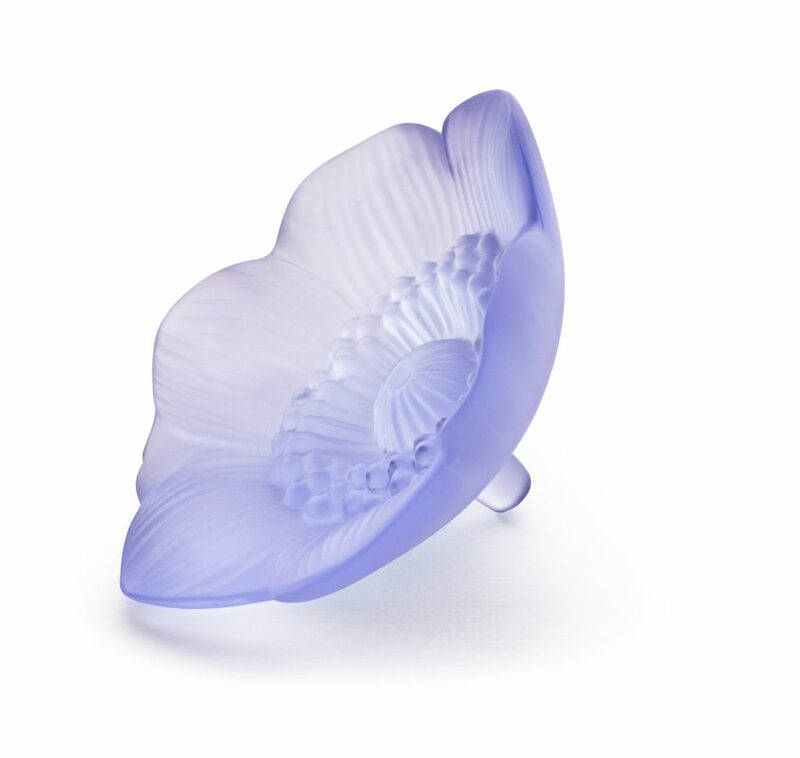 A delicate flower and the symbol of purity and innocence, the anemone inspired Rene Lalique for this design in 1931, originally created in glass. A petite version in blue lavendar crystal, both romantic and contemporary, shows nature and modernity in harmony when fashioned by the hands of artists. A delicate flower and the symbol of purity and innocence, the anemone inspired Rene Lalique for this design originally created in 1931. A vision of luminous clear crystal, both romantic and contemporary, shows nature and modernity in harmony when fashioned by the hands of artists. 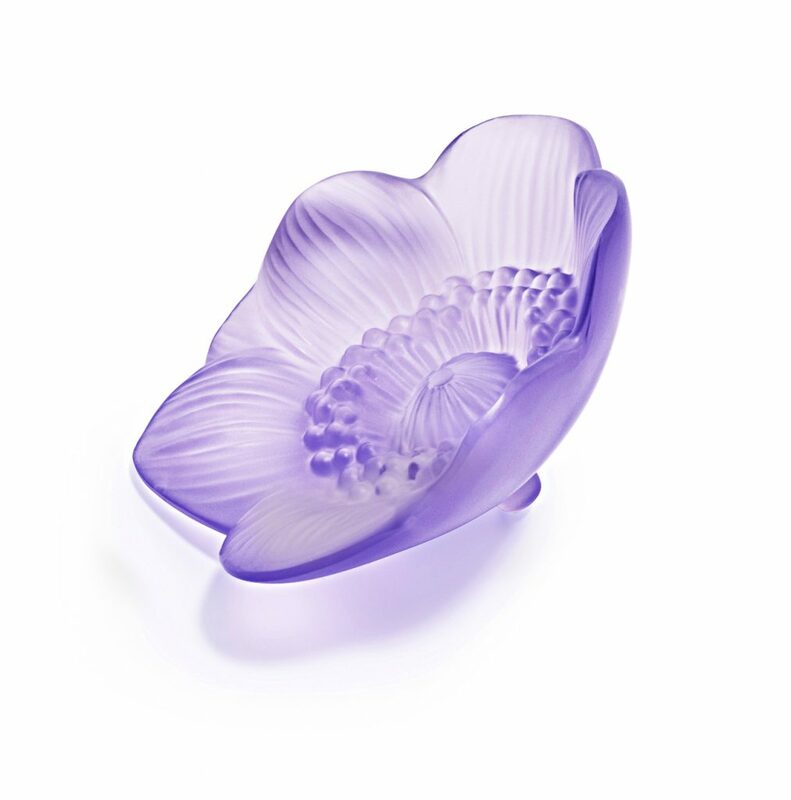 A delicate flower and the symbol of purity and innocence, the anemone inspired Rene Lalique for this design in 1931, originally created in glass. A petite version in luminescent clear crystal, both romantic and contemporary, shows nature and modernity in harmony when fashioned by the hands of artists. 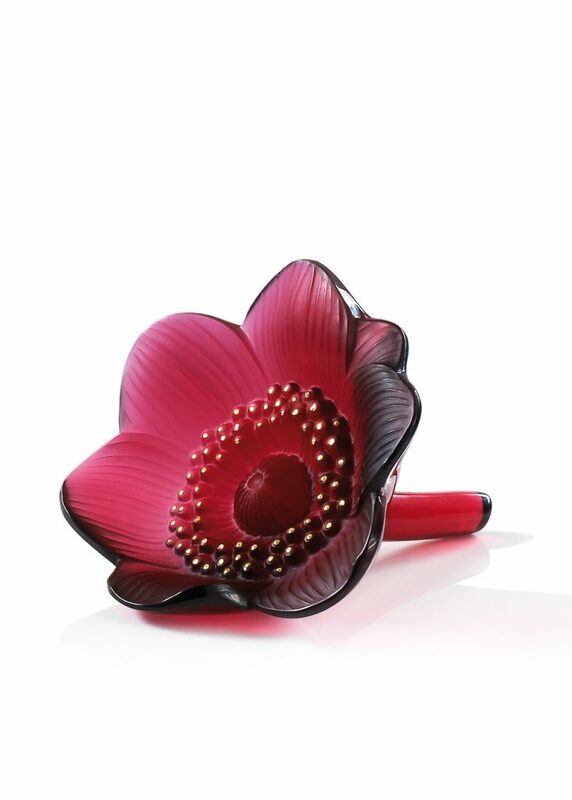 A delicate flower and the symbol of purity and innocence, the anemone inspired Rene Lalique for this design in 1931, originally created in glass. A petite version in rich gold luster crystal, both romantic and contemporary, shows nature and modernity in harmony when fashioned by the hands of artists. 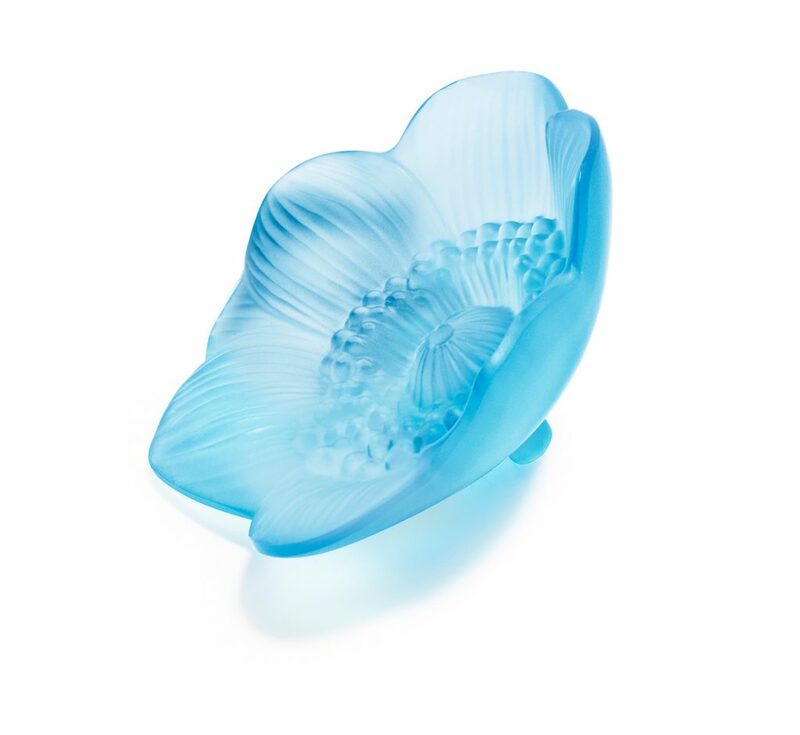 A delicate flower and the symbol of purity and innocence, the anemone inspired Rene Lalique for this design in 1931, originally created in glass. 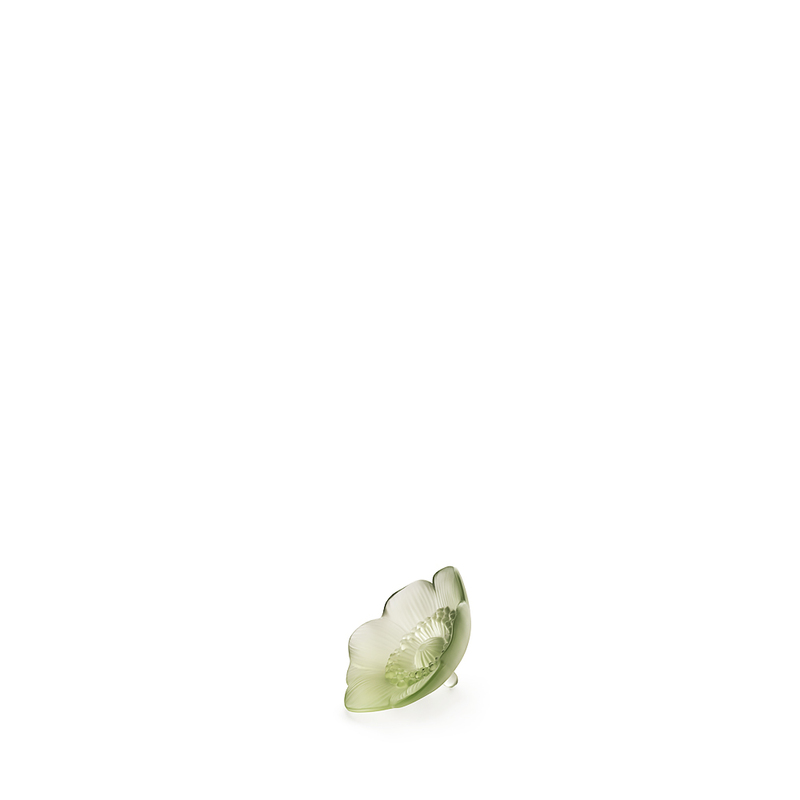 A petite version in vibrant green crystal, both romantic and contemporary, shows nature and modernity in harmony when fashioned by the hands of artists. 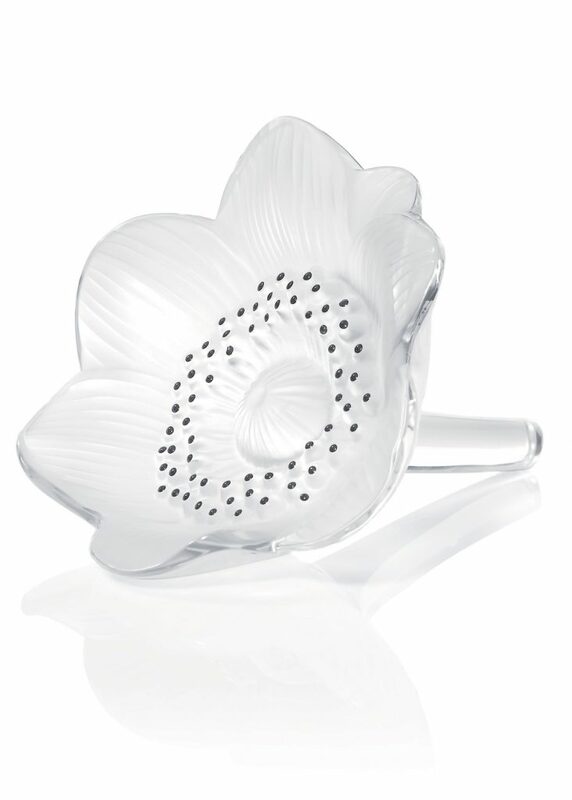 A delicate flower and the symbol of purity and innocence, the anemone inspired Rene Lalique for this design in 1931, originally created in glass. A petite version in light violet crystal, both romantic and contemporary, shows nature and modernity in harmony when fashioned by the hands of artists. 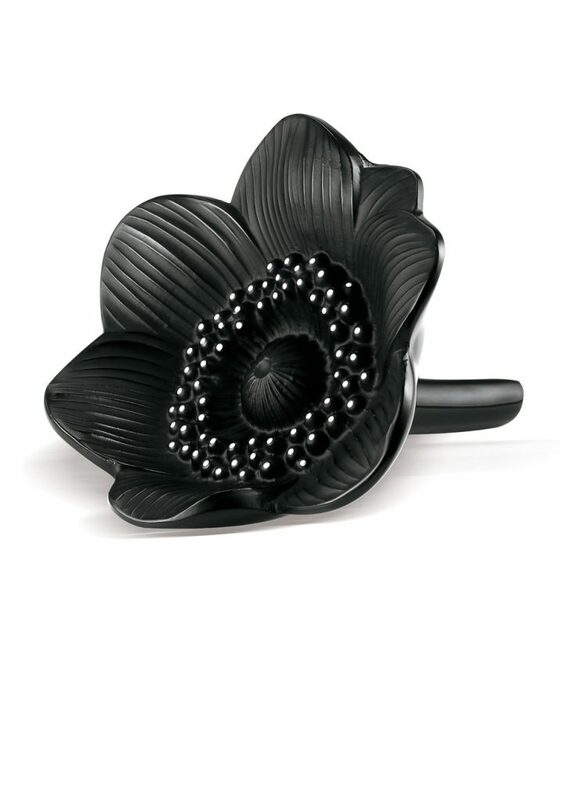 A delicate flower and the symbol of purity and innocence, the anemone inspired Rene Lalique for this design in 1931, originally created in glass. A petite version in pale blue crystal, both romantic and contemporary, shows nature and modernity in harmony when fashioned by the hands of artists. A delicate flower and the symbol of purity and innocence, the anemone inspired Rene Lalique for this design originally created in 1931. A vision of deep red crystal, both romantic and contemporary, shows nature and modernity in harmony when fashioned by the hands of artists.